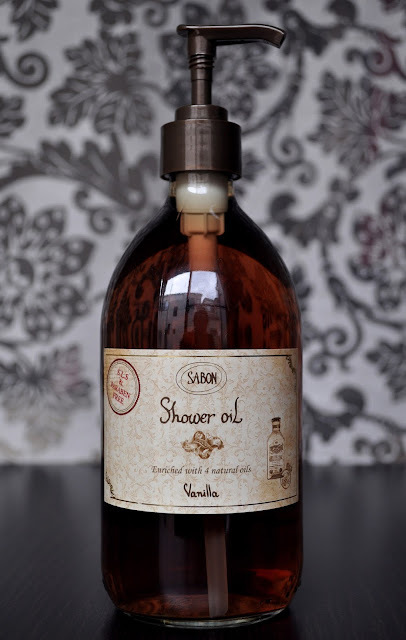 For December's body wash, I chose Sabon's Vanilla Shower Oil. 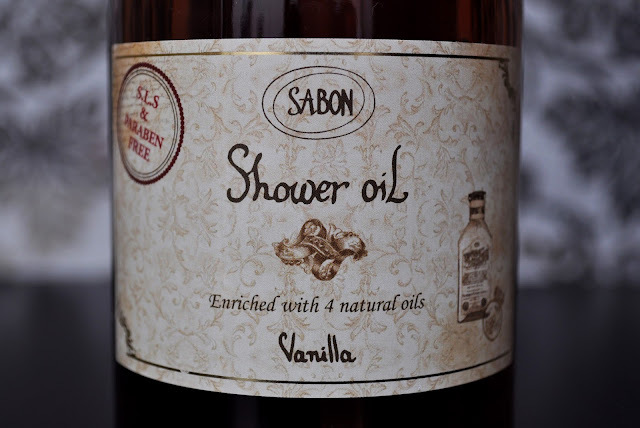 Sabon has a way of giving all their fragrances a luxurious, delicate sophistication, and this month I'm all about the brand's ambrosial Vanilla scent. An exquisitely, finespun, redolent scent of vanilla; I couldn't wait to bathe in this shower oil! Actually, this shower oil was the key reason why I purchased Giovanni's Hot Chocolate Sugar Scrub. I thought the marriage of the two scents would be glorious, and they are! I feel and smell exceptionally delicious when I use both of these products. I truly adore Sabon's Vanilla shower oil, and, although it can be used year round, I partially like using it during the winter season, and it's my first step to get me into the holiday cheer.